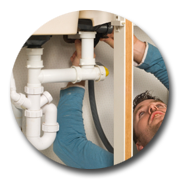 Whether you require emergency plumbers in Sydney or maintenance plumbing services, North Shore Plumbing & Hot Water has the expertise to fix any plumbing problem you may have. Often it is not just about fixing the problem, but determining why the problem has occurred and fixing the cause. Blocked drains, sewers and storm water lines need to be attended to immediately to prevent damage to your home or business premises. Whatever the problem is, whether to clear blocked sewer and storm water drainage lines or to refurbish/replace existing drainage lines North Shore Plumbing & Hot Water specialists have the expertise and equipment to quickly assist. When drains have been cleared a camera inspection can be required to determine the extent of damage and required rectification works. North Shore Plumbing & Hot Water can provide a CCTV inspection of the drainage line and provide a quote for the repair works. Burst water pipes can cause significant damage, be very disruptive and extremely expensive if not dealt with quickly. Most times a burst water pipe requires emergency assistance and we can normally be with you within the hour. 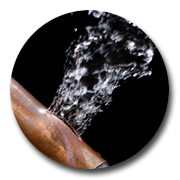 Our tools and expert knowledge in detecting leaks can ensure burst pipes are quickly repaired. 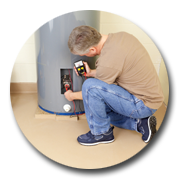 Losing your gas or electric hot water service is one of the most inconvenient situations a family can experience. Knowing whether you need to replace your hot water system or repair it can easily be determined with North Shore Plumbing & Hot Water. We are skilled in all hot water system repairs, but can also provide you expert advice if you require a replacement. Our specialists will give you advice, based on your family needs as to the different manufacturer's systems and the benefits of each to make the right decision. Having a blocked toilet is a major problem from health and safety aspects as well as having the potential to cause significant damage to your home. Toilet blockages are typically caused by the wrong or excessive material being deposited into the toilet. Toilet leaks will occur due to the wear and tear on your toilet cistern. 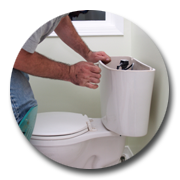 When fixing a leaking toilet we provide a comprehensive repair of the entire toilet cistern components to ensure that all parts are working properly. Often just fixing a minor repair will put pressure on other parts of the toilet causing them to fail in a short time. It is always best to take a wide view and undertake a complete repair. Leaks are actually difficult to fix properly. 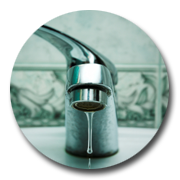 A specialist plumbing service such as North Shore Plumbing & Hot Water will give your tap a complete service and look at all fixtures and fittings, not just replacing a washer. Saving water, saves you money! 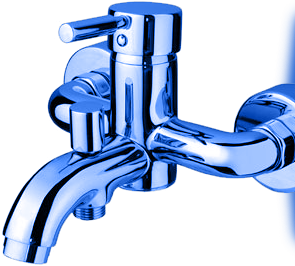 North Shore Plumbing & Hot Water are specialist Sydney plumbers providing plumbing services to suit any situation including maintenance and emergency plumbing. Book an appointment or call us now on 1300 783 412.